Audrey Choi is CEO of the Morgan Stanley Institute for Sustainable Investing and Head of the Global Sustainable Finance Group. In these roles, she oversees the firm’s efforts to promote economic opportunity, community development, and global sustainability through the capital markets. In a career spanning the public, private, and nonprofit sectors, Choi has become a thought leader on how finance can be harnessed to address public policy challenges. She served in the Clinton Administration in senior policy positions, including as Chief of Staff of the Council of Economic Advisers and Domestic Policy Advisor to the Vice President. 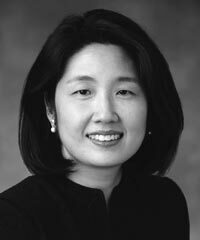 Previously, Choi was a foreign correspondent and bureau chief at the Wall Street Journal. She serves on President Obama’s Community Development Advisory Board and the boards of several national nonprofits focused on education, conservation, and impact investing.